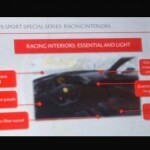 There’s a leak and it involved the specifications and features of the Ferrari 488 Sport Special Series. It’s no secret that the Italian automaker is working on a high-performance version if its 488 supercar, but it’s only now that we have gotten our hands on some useful details. 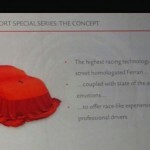 The car, typical of Ferrari supercars, will be fitted with the latest in racing technology such as a “race” gearshift, an “extremely” direct steering ratio, all-new Michelin Sport Cup 2 tires, and front S-duct and a rear diffuser from the 488 GTE Le Mans car. 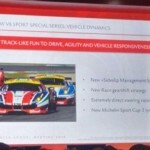 There’s also a new aerodynamic package that will be 20-percent more aerodynamically efficient than the regular 488. 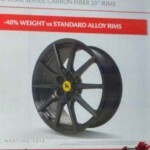 The new 20-inch alloy wheels that this high-performance 488 is packaged in are 40-percent lighter than the ones on the base model. 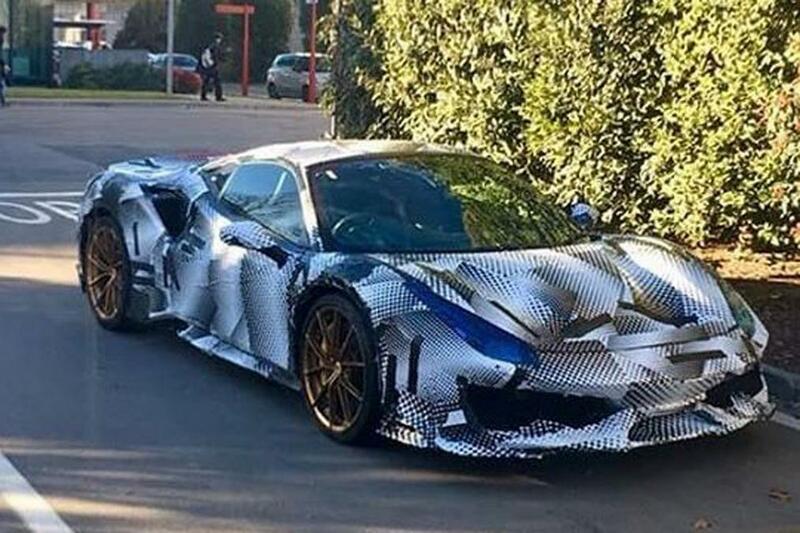 The new 488 will almost be made entirely of carbon fiber. 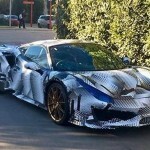 There’s no other car in the world that used carbon fiber as much as the high-performance 488, reports said. 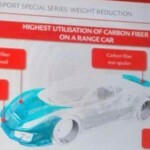 Both the front and rear bumpers, the bonnet, the active rear spoiler, and interior dashboard will be made of carbon fiber. The racing seats will also be made of carbon fiber, so say goodbye to the standard glovebox as well as to other interior niceties. Speculations are rampant that the new 488 will carry the GTO badge, but the schedule doesn’t seem to fit it seeing as Ferrari just released a GTO badge in 2010 via the 599. Seeing as Ferrari only ever revives the GTO badge every two or three decades, it’s unlikely that the 488 will get the infamous badge. There are hushed tones in the auto industry that Chevrolet plans to fit its Camaro with a seven-speed manual transmission for the 2019 model year. To those who don’t know, the Chevy Camaro already has a current six-speed manual option, along with its eight-speed and 10-speed automatic transmissions. The current Chevrolet Camaro already shares quite a few features with the C7 Corvette, particularly when it comes to their V8 engine choices. 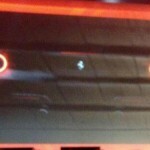 AutoGuide, however, has thrown another little tidbit of information about the two vehicles. According to a document retrieved from the California Air Resources Board (CARB), the Camaro will gain a seven-speed manual gearbox, the same unit found in the Corvette. The seven-speed manual on the Camaro will most likely be paired with the 6.2-liter LT1 V8 in the Camaro SS variant. This is the same engine that we found in the base Corvette Stingray. We wouldn’t be surprised, too, if there’s an extra gear on the supercharged Camaro ZL1 since it uses the same LT4 V8 found in the Corvette Z06, which comes with a seven-speed unit, too. The document is very vague when it comes to the details of this move from Chevrolet. It only listed engine displacement and transmissions planned for the Camaro. 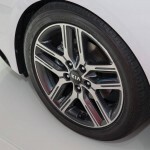 Of course, there have been speculations in the past about the possible fitting of a seven-speed transmission in the next-generation Camaro, but there was never any concrete evidence that the plan existed. Now, Chevy has remained mum on this issue and did not confirm any of the details the document from the CARB revealed. The plan may not come into fruition until 2019, though, so that’s a lot of time for us to wait. But the possibility of seeing a Camaro powered by a 7-speed manual transmission is enough to make that wait bearable, at the very least. Are you waiting for the next-generation Volkswagen Golf? The eighth-generation model will most likely make its grand debut at the Frankfurt Motor Show next year, but we now have emerging details on what we would most probably see when the launch arrives. According to a report by Auto Express, the VW Golf will spawn two powerful models—the GTI and the Golf R, in addition to a plug-in hybrid model that we will know more details about in the coming weeks. The problem? 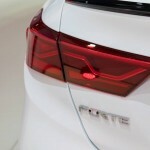 Those who are expecting we’ll finally see an electrified version of the Golf will be disappointed. It appears from the report that plans for e-Golf have been shelved, at least for now. 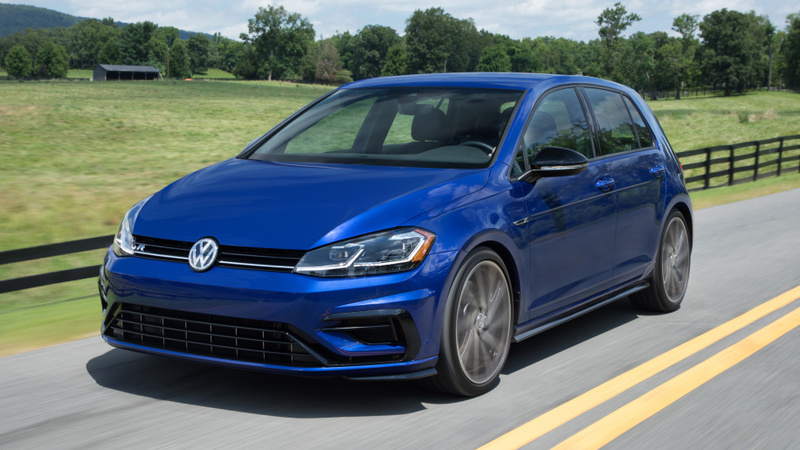 The Golf’s performance-oriented models, the GTI and the Golf R, on the other hand, will get more powerful in the next-generation versions. 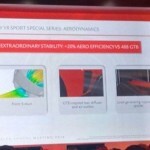 Both models will get boost in power for a total of 250 horsepower for the GTI and 350 horsepower for the Golf R.
In terms of competition, the boost in power will put the GTI at the same level as that of the Ford Focus ST and the Subaru WRX while the Golf R can compete with the likes of Ford Focus RS. It will also be a lot closer in specs with the Mercedes-AMG CLA45 and the GLA45 models. The unfortunate thing is that plans for the e-Golf, which Volkswagen previously boasted would have a 186-mile range, have been shelved for now. The electrified version of the Golf is not included in this eighth-gen iteration of the model. According to reports, e-Golf fell victim to VW’s focus on the I.D. line, particularly the I.D. 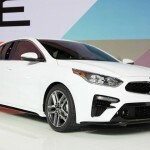 hatchback, which will arrive possibly in 2021 after the new Golf for Europe has been released. That hatchback, VW said, would deliver 373-mile maximum range for Europe. In the United States, the first I.D. would be the production version of the I.D. Crozz in 2020, followed by the I.D. Buzz van in 2022. What we can expect now is that the current-generation e-Golf would stay until the I.D. makes its debut. 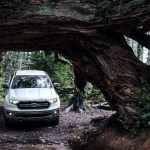 After a seven-year hiatus, it looks like Ford is back in the midsize truck segment. 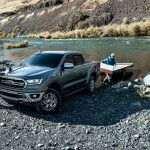 The 2019 Ford Ranger is no F-150, but it will do just fine to battle it out with the likes of the 2019 Ram 1500 and the Chevrolet Silverado, which, like the Ranger, made its debut at the 2018 North American International Auto Show in Detroit. 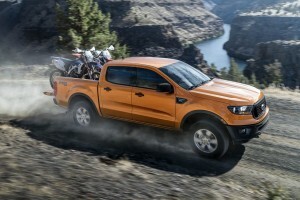 The 2019 Ranger will be offered in three trim packages and uniquely, two appearance packages. Let’s talk about the trim packages first. The base XL will be produced for fleets, contractors, and anyone who focuses on function rather than form. The mid-grade XLT has more features and it doesn’t look like a work truck. Finally, the Lariat trim is for those looking for everything—luxury, form, ability, etc. 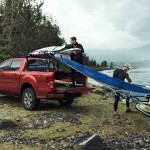 Surprisingly, Ford is not offering a Platinum or Limited trim model to compete with the GMC Canyon Denali. 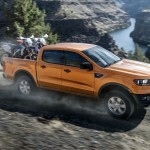 As for the appearance packages, the 2019 Ranger can come in Sport or Chrome packages. There are also two sizes—the SuperCab (extended cab) and the SuperCrew (crew cab). The super sleek exterior is just about right with what we’re going to find once we go inside. 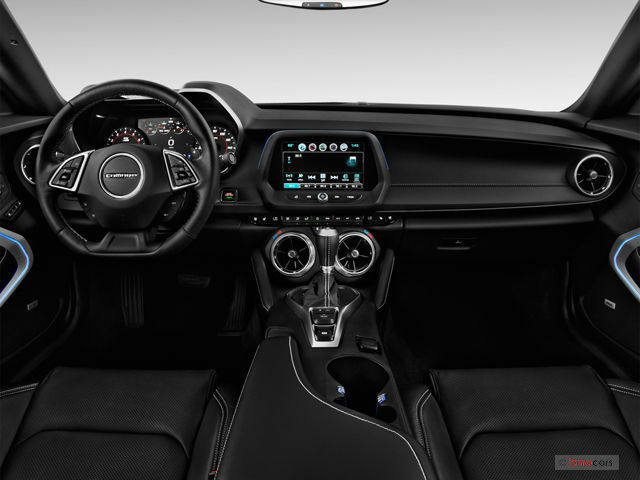 The 2019 Ranger has a dashboard similar to Global T6 Ranger with an 8.0-inch SYNC 3 infotainment system wherein you can control such features as the Ford+Alexa connectivity and the optional B&O sound system. 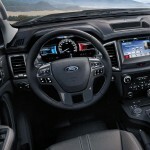 The gear shifter is console mounted and Ford wouldn’t disappoint you with its optional FordPass 4G LTE Wi-Fi hotspot for 10 devices. The powertrain is irresistible. 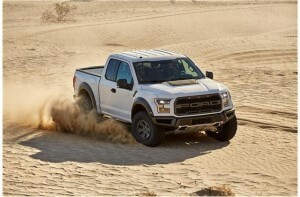 It comes with a single engine for now, the 2.3-liter EcoBoost 4-cylinder that is similar to the one used by Mustang. 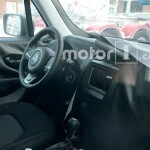 The engine is paired with a 10-speed automatic transmission that is standard across all devices. 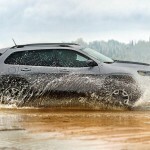 There is an option for either a rear-wheel drive or an all-wheel drive, as well as for an electronic locking rear differential. 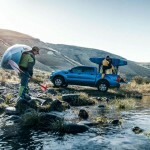 Every 2019 Ranger will come standard with Automatic Emergency Braking. 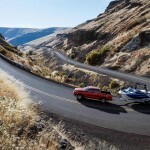 The XLT and Lariat trims will come equipped with Lane Keeping Assist, Lane Departure Warning, a Reverse Sensing System, and Blind Spot Information System with trailer coverage. 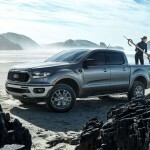 Those spending their money on the Lariat trim can also opt for the Pedestrian Detection and Adaptive Cruise Control. 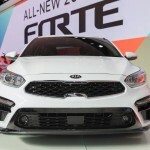 Expect the Ford prices to be somewhat near its competition. The base XL will most likely sell for $23,000 while the Lariat can have a price tag of $42,000. 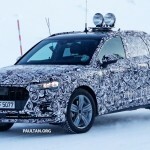 Audi is working on its next-generation Q3 crossover, we all know that, but these spy shots revealed where in the development process is Audi right now. 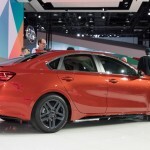 Well, it looks like everything is on schedule and we’ll see the next-generation Q3 as a 2020 model this 2019 in distributors’ showrooms. 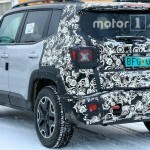 There are no surprises in the design of Audi’s compact crossover SUV, the spy shots revealed. 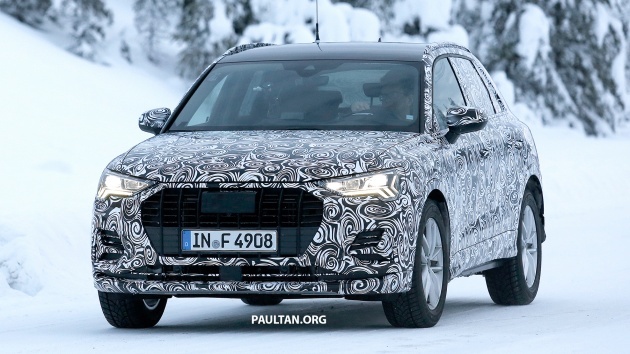 Based on the images, the next-generation Q3 will resemble a scaled-down version of the latest Q5, though this one will have a more dynamically proportioned body. To further highlight the difference, the current-generation Q3 was seen on the road together with the upcoming Q3. 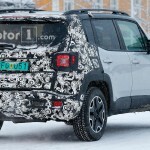 The crossover SUV will use the same and familiar MQB platform design used by the VW Group in almost all of its compact cars and non-premium midsize models. The new-generation Q3 will be powered by turbocharged inline-4 engines, but there is also a possibility of seeing a plug-in hybrid option. 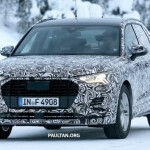 Expectations are high, too, that Audi will have the same RS Q3 in the works. With 400 horsepower from a 2.5-liter turbocharged inline-5, there should be no question that this one would be a favorite. The good news? 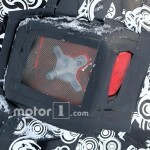 Audi Sport might offer the RQ3 in the United States market this time around. Remember, the US market has been adamant it wants the same preference that Audi has for the European market. The redesigned Q3 is just one of the five new SUVs that Audi is working on. 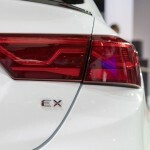 There are others in the horizon, such as the electronic e-tron and e-tron Sportback models, as well as the coupe-like Q4 and Q8. 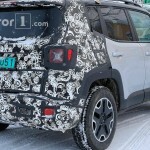 There are also rumors that Audi is working on a Q1 subcompact SUV based on the next-generation A1. 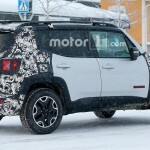 Now that it’s in its midway point of life, the Jeep Renegade is about to receive some minor upgrades. 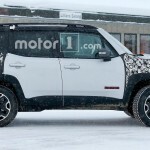 The spy shots recently shown revealed two things: there are no major changes on the Renegade’s exterior but its interior might receive some upgrades. 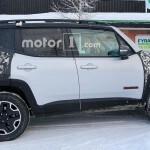 The prototype for the Renegade was recently seen camouflaged and all. 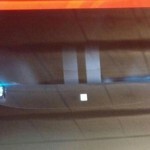 It is slated to be revealed later this year and will be produced as a 2019 model. 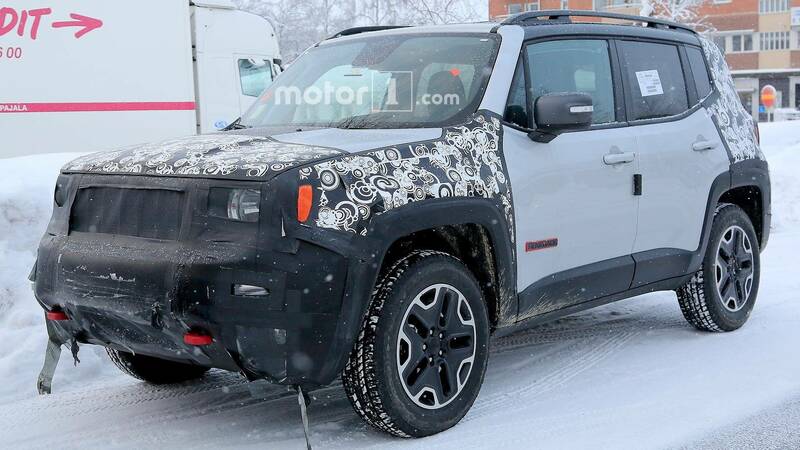 The Renegade’s cute exterior is something we all loved about it and thankfully, Jeep won’t be making any huge adjustments on that part, except for some minor tweaks on the front and rear fascias. 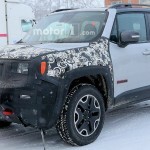 But with all the camouflage gear we’ve seen the Renegade in, it’s hard to tell what changes are we talking about exactly. Inside, the changes are more interesting. 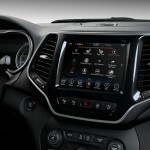 The new Renegade’s center stack will be redesigned with a larger infotainment screen. 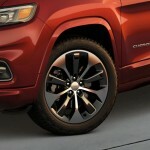 You’ll also find the climate control dials on the center stack, similar to the ones recently revealed in the 2019 Jeep Cherokee. 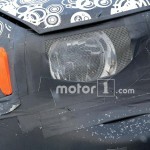 There are no exact details yet on the powertrains, though we’re hoping there could be some upgrades in this front. 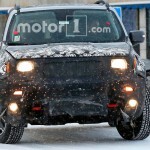 It’s possible that we’ll get to see the 2.0-liter turbo, same as with the Cherokee and the Wrangler. 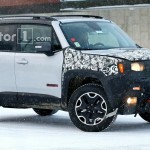 That would be a good replacement for the Renegade’s current 2.4-liter mill. 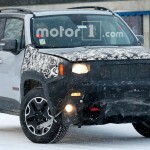 The only problem is that the turbo might be too powerful for the Jeep’s pint-sized Renegade. 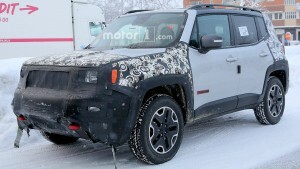 We’ll have more details about the new Renegade hopefully in the coming weeks. It looks like Chrysler is adding up to its lineup with a crossover SUV based on the Pacifica minivan. That is quite ironic since the brand repurposed the old Chrysler Pacifica crossover’s name for a minivan and then later on, that very same van yielded another crossover. 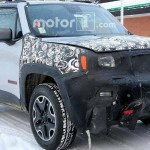 The information that FCA CEO Sergio Marchionne revealed in his interview with MotorTrend is an exciting development from Chryler. That’s because nothing much is going on with the brand in the past months, except for the departure of the 200. With only the 300 and the Pacifica currently in its lineup, Chrysler is looking to market its brand to another market—specifically, people who doesn’t want either a large sedan or a minivan. Both these segments are giving up their share of the market for the crossover, which will have three rows and will reportedly in 18 months. 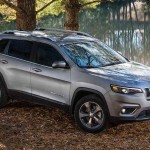 This is the right step for Chrysler since companies like Subaru and Volkswagen have also expanded their market to that of the crossover segment. 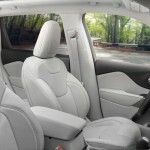 The decision, of course, to use a Pacifica-based crossover will be beneficial to the crossover’s market. 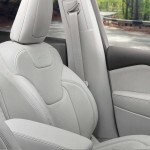 After all, a Pacifica platform offers more advantages than spewing just another model. There are some “unique opportunities” in store for the new crossover since it will be using the Pacifica platform. Finally, we could have a crossover that has a spacious cargo and passenger space. 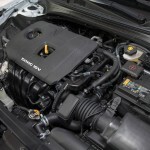 There is also the possibility of adapting the PHEV powertrain to the new crossover. Plug-in crossovers haven’t been tried by “ordinary” brands, except for Mitsubishi, though the Japanese automaker only tried the plug-in variant with its luxurious Outlander PHEV. That being said, the Chrysler has a chance to offer a larger PHEV than the Outlander. There are a lot of big trucks that have been revealed at the Detroit Auto Show. It’s almost as if the motor show was exclusively organized for pickup trucks like the 2019 Ram 1500, the Chevy Silverado 1500, and the 2018 Ford F-150. In 2015, the F-150 lost much of its weight. The same can be said this year for the Ram 1500 and the Chevy Silverado 1500. On top of the list is the Silverado, which shed 450 pounds compared to the other V8 models. The Ram 1500, on the other hand, lost 225 pounds. The Ram and the Chevy lost their pounds because of the use of aluminum. Where it differs is here: the Silverado used aluminum on its hood, doors, and tailgate; the Ram on the hood and the tailgate; and the F-150 used aluminum on all exterior parts for a total weight lost of 732 pounds. 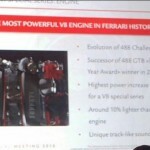 Both the Ram and the Chevy are being powered by a V8 engine. The Ram has a 5.7-liter Hemi V8 that produces 395 horsepower and 410 pound-feet of torque. On the other hand, the Silverado again used a 6.2-liter V8. Experts predict that the new Silverado could churn up to 420 horsepower and 460 pound-feet of torque. 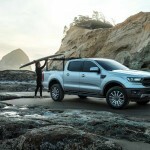 Ford F-150 is still using the same 5.0-liter V8 engine, but you now have the option to go with a 3.5-liter twin-turbocharged V6 engine. This one produces 375 horsepower and 470 pound-feet of torque. The Rams will be paired with an eight-speed automatic; a different one will be set for the V6 and the V8. The Silverado will get a 10-speed automatic for its 6.2-liter V8 and diesel. 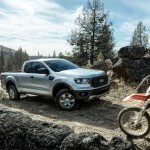 The F-150 will also use a 10-speed automatic transmission. 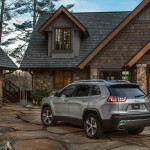 As part of an extensive freshening, Jeep’s midsize SUV, the Cherokee, is getting a slew of new updates, tech, and even powertrain. 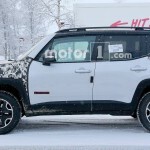 This only makes us want to reach into our pockets and check if we’ve got money to pay for the humongous price tag we’re sure the 2019 Cherokee will come packaged in. 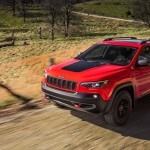 The Jeep Cherokee gets a new powertrain courtesy of an optional turbocharged inline-four engine that could produce 270 horsepower and 295 pound-feet of torque. Other options available are the standard 2.4-liter I-4 engine that delivers 180 horsepower and 170 pound-feet of torque and a naturally-aspirated 3.2-liter V-6 that churns out 271 horsepower and 239 pound-feet of torque. All of these three engines are combined with a nine-speed automatic transmission with a new operating software that promises to improve performance. 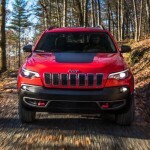 To increase fuel efficiency, Jeep also equipped the engines with a stop-start technology. 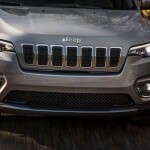 The Jeep Cherokee’s famous front fascia has been redesigned to make way for daytime running lights and LED headlights that have been infused into a single unit. 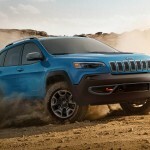 The stacked design on the previous model was a popular favorite, but Jeep decided its time to forego that layout. 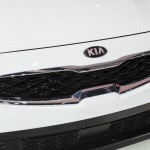 Aside from the front fascia, there’s also a refreshed hood and the seven-slot grille. 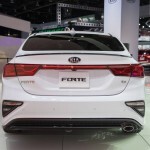 In the rear, the liftgate design offers an optional hands-free automatic opening feature that you can activate with a mere foot wave under the bumper. There’s also a new set of rear lighting, which is a thin red band of LED lighting that signals the stop, turn, and backing lights. 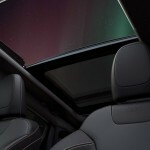 There’s three inches of additional cabin width in the new Jeep Cherokee. This extra space now has 27 additional cubic feet for the cabin. Those who complained in the past about not being able to fit their golf clubs can now rest and be merry. 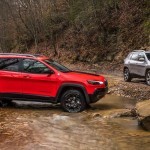 The 2019 Jeep Cherokee will be available to the US market during the first quarter. There are no pricing details as of now. 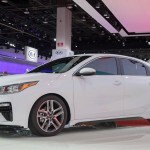 There’s a lot to say about the 2019 Kia Forte—from its new CVT gearbox down to the technology we can find inside the third-generation sedan. 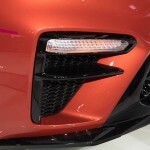 What’s glaringly obvious, though, is that it doesn’t offer the same performance as the Stinger, its big brother, but gained a little bit of what makes the Stinger unique, aesthetics-wise. 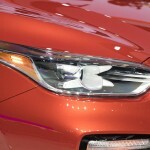 By the looks of it, the new Forte will have the Stinger’s set of sweptback headlights and a more aggressive front fascia. It will also have a flowing roof and short rear end, giving it a vague coupe-like appearance, depending on what angle you look at it. Inside, the Forte is equipped with a standard 8-inch infotainment system with support for Android Auto and Apple CarPlay. The said infotainment system is perched on top of the center stack. But that’s not all there is in the Forte. 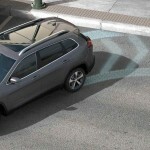 It can come with an optional driver assistance suite that includes blind-spot warning, lane keep assist, adaptive cruise control, and forward collision avoidance assist. 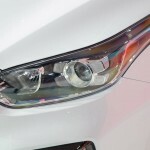 Optional, too, are full LED headlights. 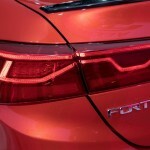 The new Forte is bigger than the previous generation, gaining 3.2 inches to bring the overall size to 182.7 inches. 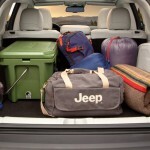 The extra room gives the passengers more legroom and a bigger trunk. 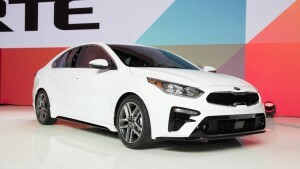 The Forte boosts of efficiency as it is now available with a 6-speed manual transmission or the company’s own CVT gearbox, which it has branded as the “Intelligent Variable Transmission.” The gearbox is powered by a 2.0-liter four-cylinder that runs on the Atkinson Cycle. The combination produces 147 horsepower and 132 pound-feet of torque. 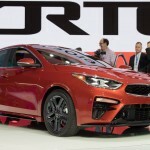 The 2019 Kia Forte will be available in three trims: LX, S, and EX. 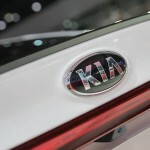 The South Korean company has yet to announce the pricing and the release date for the new sedan, but more details should come shortly.